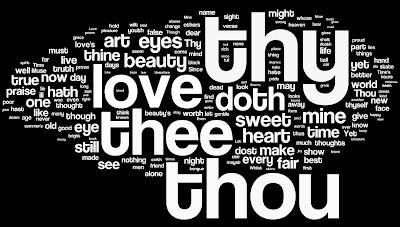 No 38 in our Shakespeare Wordles series : the full texts of all the Sonnets. And finally... the last image in the Wordle marathon. We'll now be working on putting them all together in a multi-media slideshow, perhaps at the start of next term.